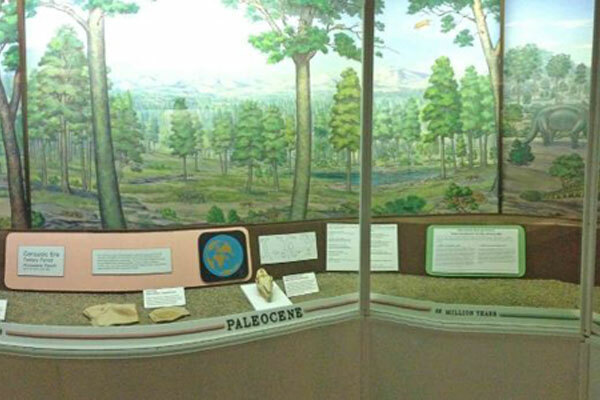 The Hall of Evolution exhibit at the MSU Museum is constructed as a time line with exhibits of fossils arranged in chronological order from the Cambrian Period (about 540 million years ago) to the Pleistocene Epoch or “Ice Age” that ended about 10,000 years ago. 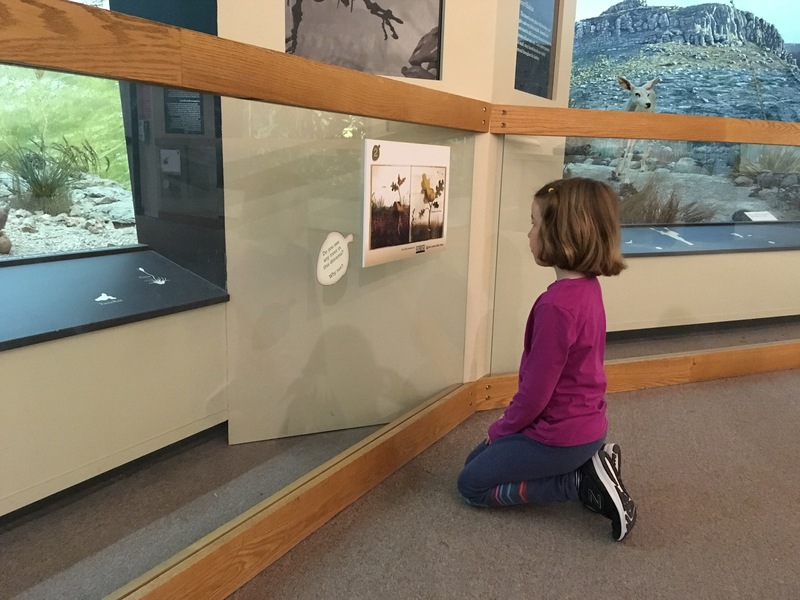 The specimens and illustrations serve as tools to show the gradual changes that have occurred on our planet according to fossil records. 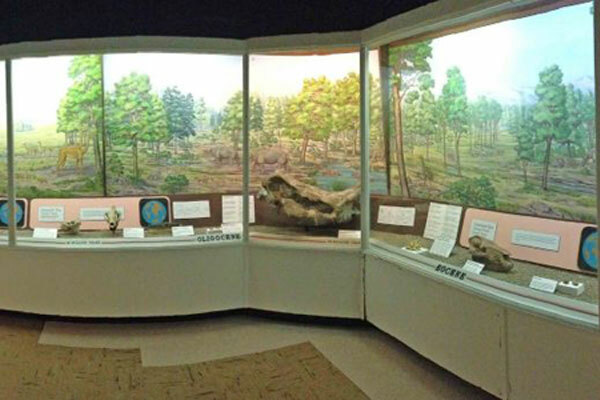 Areas of interest: Diorama of a Michigan Mastodon dig site, touchable fossil casts on the wall and pedestals, maps at each time period showing progressive movement of landmasses, and painting for each time period showing representative life forms. 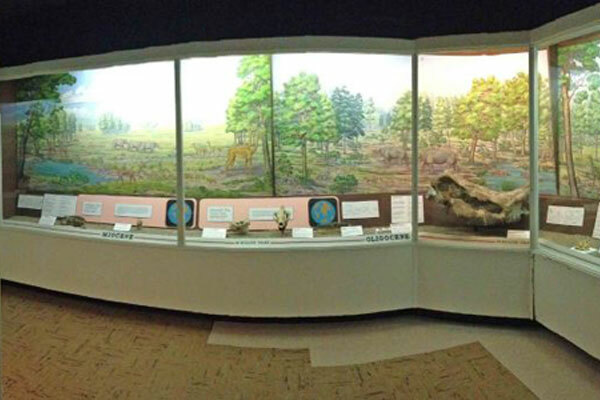 Another significant feature in this hall is “Lucy,” a hominid that lived in Ethiopia about 3.2 million years ago. Lucy is possibly the most recent common ancestor of the genus Homo — the group to which humans belong. 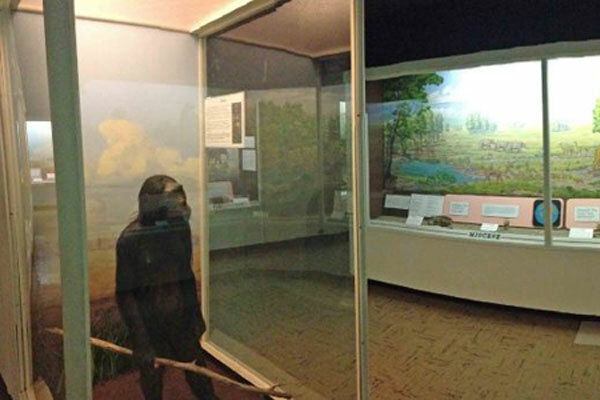 Lucy is famous because at the time her skeleton was discovered, scientists didn’t think bipedal (walking upright on 2 legs) hominids existed that long ago. 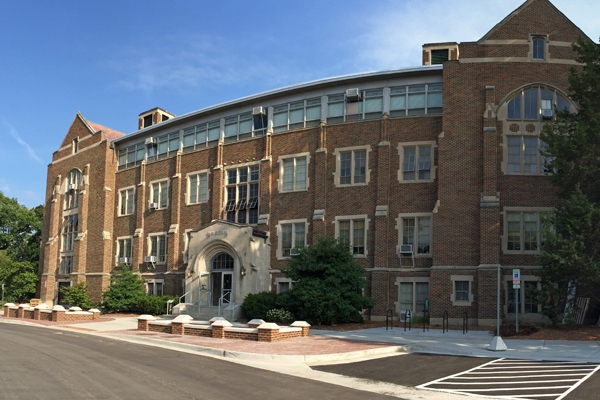 This model is based on a fossilized and almost complete skeleton found in the Hadar region of Ethiopia by Dr. Donald Johanson.